Twin Lectures at the Career Centre: What is it like to be kidnapped? + How do you become a powerful engineer? 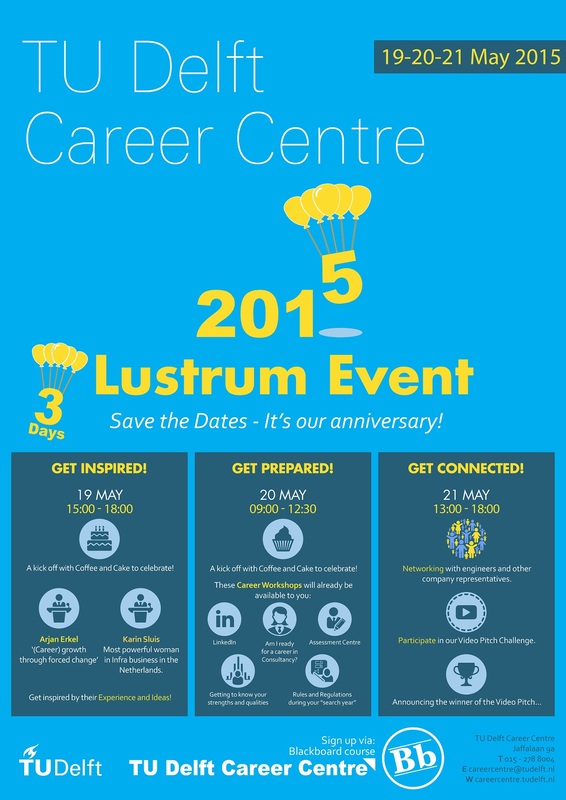 Our friends at the TU Delft Career Centre are celebrating their first Lustrum this May with great activities and opportunities for students, PhDs and recent alumni (<2y) only. Please note, registration is required: see info below! The event will kick off with two inspiring talks by Arjan Erkel and Karin sluis on May 19th, 2015. On 12 August 2002, Arjan Erkel, 32, director of Médecins Sans Frontières Switzerland, was kidnapped by three unknown gunmen in Makhachkala, the capital of the Russian Republic of Dagestan. On May 19th, 2015, Arjan Erkel, 45, shares what it was like for him to be held hostage by rebels for 607 days. We learn how his experience can inspire us to take control of our lives and career. Karin Sluis, General Manager at Witteveen+Bos, explains what inspires her career in engineering. How did she become an engineer and what have been the steps on her career path to the position she holds as Most powerful person in the infrastructure sector. TU Delft students, PhDs and recent alumni can also join a series of workshops on the “Get Prepared” day on Wednesday May 20th. Students, PhDs and recent alumni who are looking for an internship or job, make sure you attend the “Get Connected” network event on Thursday, May, 21st and meet employers who are looking for you.